Dwarf Papillons are a full-arch dwarf breed. They are not a running breed - they are always posed on the show tables. Papillons are currently recognized in the varieties Black, Chocolate, and Blue, and are shown by individual variety. Their temperaments are extremely friendly, outgoing, and extroverted. 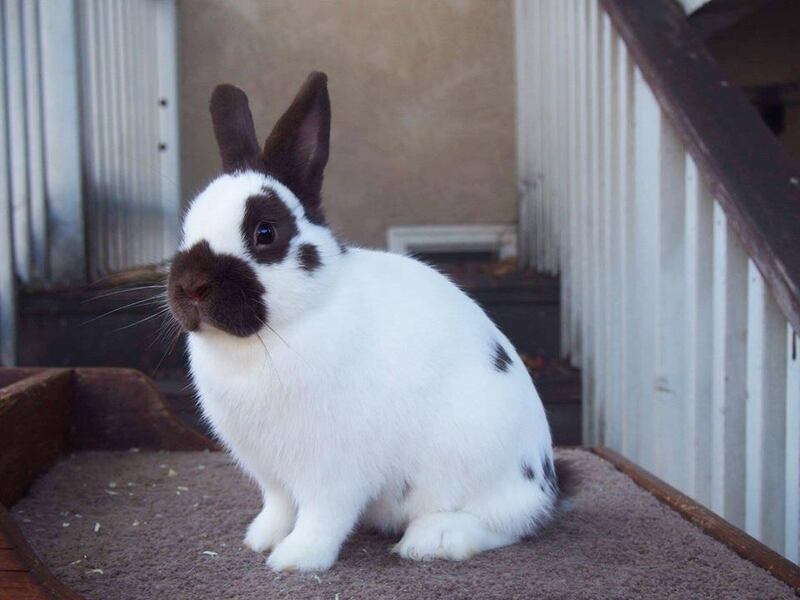 They are delightfully curious and affectionate rabbits, and love to give kisses! They are confident, hardy, and good eaters.